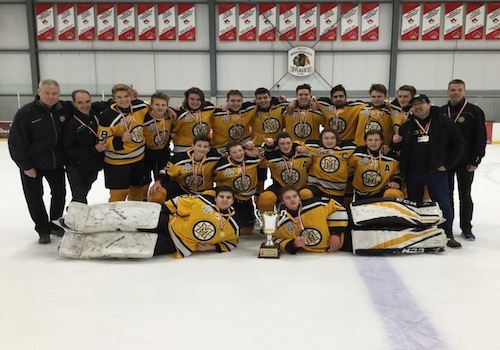 Home › News › Minor Midget A move on to the GTA ‘A’ Championships! 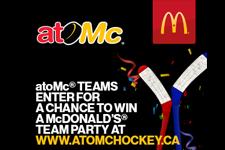 Minor Midget A move on to the GTA ‘A’ Championships! The Meadowvale Hawks Minor Midget A team had an outstanding 2017-2018 season finishing first in the regular season and winning the MHL Championship with an impressive 3 game sweep over Port Credit! Special thanks to Head Coach Norm Pacheco and his coaching staff. The Hawks are off to the GTHL Playoffs next! Good luck boys! 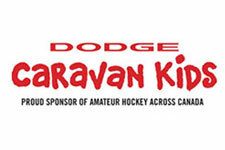 ‹ Meadowvale Peewee Reds win Gold and Silver!